The holiday season is quickly approaching and we are already in the midst of preparing for numerous seasonal events at The Christy Banquet Centers. Whether you’re hosting a holiday luncheon, formal dinner, cocktail hour, or other catered event, we have a delicious and affordable package to meet your needs! When planning your event at The Christy Banquet Center, a perfectly executed and memorable menu is always anticipated! Choose from scrumptious entrees, like our Top Round of Beef with Au Jus, paired with your choice of accompaniments, such as Parmesan Crusted Potatoes or Cornbread Stuffing. What’s more, each one of our buffet packages includes our signature Ron & Shirley’s salad (Crisp lettuces, ham, salami, and provel cheese, mixed with our famous house dressing), fresh dinner rolls and butter, and unlimited soda, coffee, and iced tea. (Bar options can be added at a nominal price.) Our mouthwatering spin on traditional holiday favorites is guaranteed to get your guest’s in the joyful spirit! 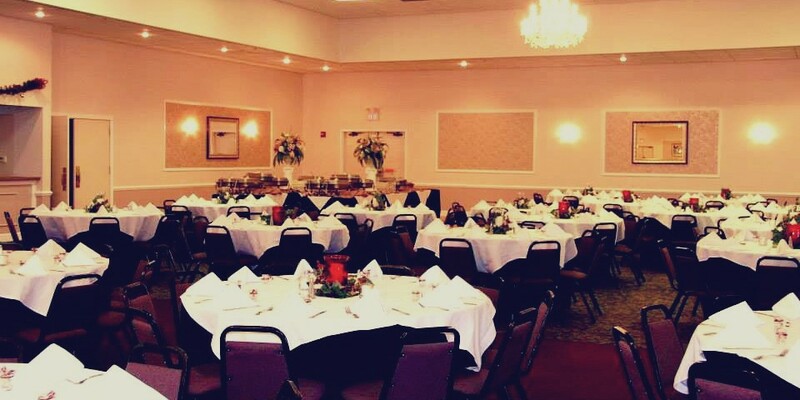 Besides our delightful holiday fare, The Christy Banquet Centers have extra amenities that brand us as your go-to venues for any occasion! Between our two convenient locations, one is certain to impress you. We only host one event at a time at our St. Louis location, so you and up to 350 guests will have exclusive use of the venue including, well-lit parking, a fully attended coatroom, restrooms, and lobby. Our second location in O’Fallon, MO can accommodate up to 500 guests when utilizing the entire venue or separate into smaller rooms for more intimate events. 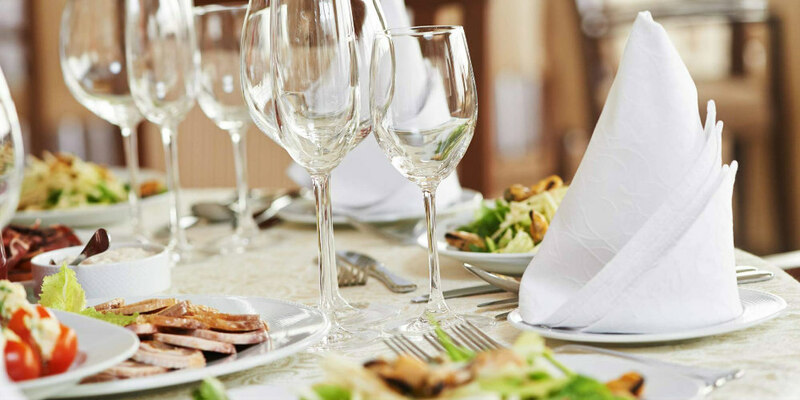 Cheerful centerpieces, classic floor length linens, and china and silverware will add sophistication to each table and our uniformed servers will enhance your overall dining experience. Adding an entertaining DJ to the mix will encourage your guests to utilize our large dance floors to de-stress during the holiday season! 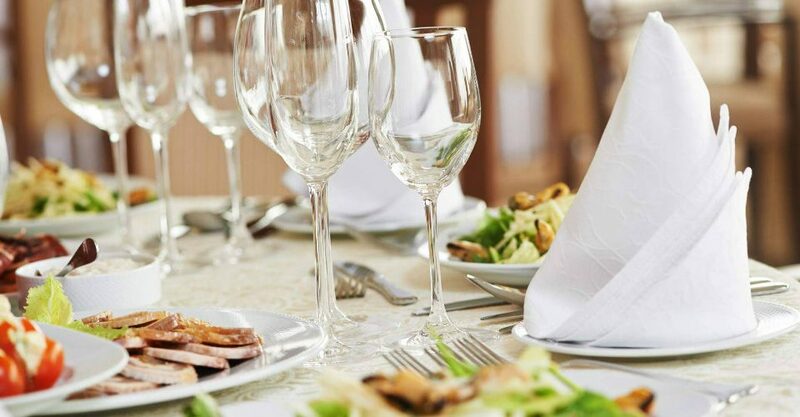 If you’re looking to host an event closer to home, our off-premise catering division can bring the ease and elegance of The Christy Banquet Centers to you. Catering by The Christy can cater at your location or just about anywhere! For menus and pricing information for your upcoming holiday event, contact The Christy St. Louis at 314-352-4800 or The Christy – O’Fallon at 636-240-7772 today to speak with one of our event coordinators. It is our pleasure to help guide you through the preparations for your upcoming event!